LAS VEGAS (July 15, 2016) – It was another record-breaking year at the World Series of Poker (WSOP) at the Rio All-Suite Hotel & Casino in Las Vegas, where the 47th annual event continued to shatter records in 2016 during the seven-week, 69-event poker festival that ran from May 31 and concludes on July 19. 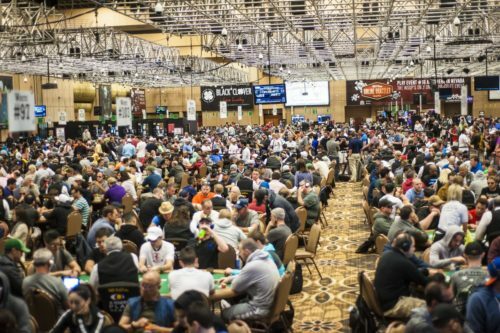 A staggering 107,833 entries participated this year (up 4.2%), just the second time the event has ever attracted over 100,000 entries, keeping the WSOP far and away poker’s biggest annual live festival. This WSOP established a host of new records as poker enthusiasts from 107 different nations traveled to Las Vegas to compete in the game’s grandest spectacle, and a record 15,767 players received prize money this year – which was amazingly more than the number of entries the WSOP had in any of its first 35 years. This marked the first year the WSOP increased the payout field to 15%, from 10% on average, to 15% this year. The WSOP remained the industry leader in terms of prize money awarded, with this year’s tally amounting to $221,211,336 – the third most in history – only behind the two WSOP’s that featured a $1,000,000 buy-in tournament on the schedule. The average field size in the 69-event bracelet schedule was 1,563 entries, the highest average in the WSOP’s 47-year history, surpassing last year’s 1,522 average. 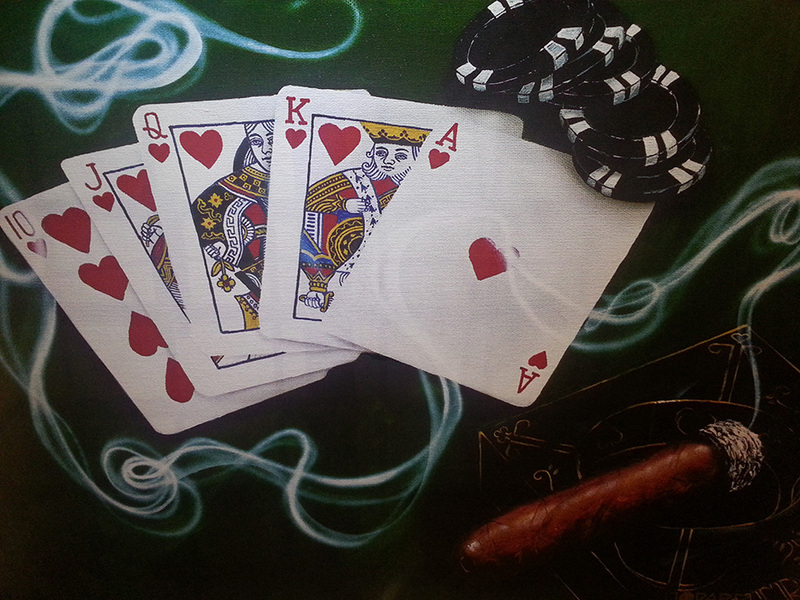 This means, to win a gold bracelet, on average, a player must beat 1,562 others to claim the crown. So despite the highest number of events offered this year (69), it has never been harder to claim a WSOP gold bracelet than it is today. For the twelfth consecutive year, the WSOP generated a total prize pool well in excess of $100 million, and for just the fourth time in its history, topped the $200 million mark. In the 47-year history of the WSOP, the game’s most prestigious tournament series has now awarded over $2.5 billion — actually $2,501,743,327 in prize money. This year’s total prize pool increased 5.1% from last year’s $210,379,285. It was another successful year in terms of raising money for charity as well. The two featured charity-linked tournaments, the Little One for ONE DROP (Event #69) and the ONE DROP High Roller (Event #67), plus the 1% for One Drop campaign, where players can donate 1% of their winnings to the cause which support the WSOP’s official charity partner the ONE DROP organization (www.onedrop.org), raised a combined $1,206,478. ONE DROP uses donations to directly implement water access projects, where an average of $100 can transform someone’s life forever. The poker community via the World Series of Poker has donated more than $14,700,000 since the partnership began in 2012 – enough to directly impact the lives of over 147,000 people. The youngest player in this year’s WSOP Main Event was Evan House-Hull, from Sandoval, Illinois, who played Day 1C at age 21 years, 19 days. He remained in the tournament at the start of Thursday’s Day 3 play, but was eliminated shortly before the money. The oldest player to participate in this year’s Main Event was 95-year-old William Wachter of Mahopac, New York, who played Day 1-C but was eliminated late on Day 1. Wachter was also the oldest participant the past three years. Jack Ury, at the young age of 97, still holds the WSOP record as oldest participant. Wachter remains the oldest to cash. He finished in 524th place for $19,500 in 2015. 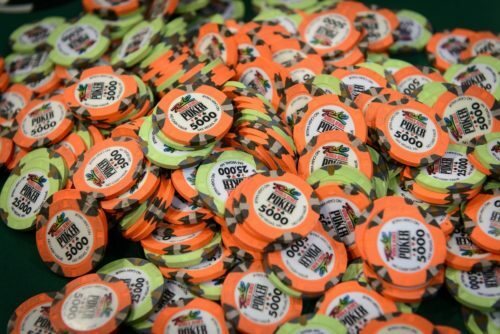 The $10,000 No-Limit Hold’em World Championship – commonly referred to as the WSOP Main Event paid out a record 1,011 places this year, and officially reached that point in the tournament in Level 15 on Friday, July 15 around 12:15am. · Largest non-Hold’em field size ever: Event #12, the $565 Pot-Limit Omaha tournament, attracted 2,483 entries, making it the largest field ever sat to play poker outside of a Hold’em event in live poker history. · Largest Seniors Event in WSOP History: A record 4,499 players showed up for this year’s WSOP Seniors Championship, officially Event #27. That was up from the previous record of 4,425 in 2014. · Largest Online WSOP Gold Bracelet Ever: A record 1,247 entered this year’s WSOP.com Online Bracelet Event, besting last year’s inaugural event by nearly 38%. · Largest $100,000 Buy-In or Larger Field Size in Poker History: Event #67, the $111,111 One Drop High Roller No-Limit Hold’em had 183 entries, the most-ever at a buy-in at this level or higher. · Largest $25,000 Pot-Limit Omaha Field Size in Poker History: Event #62, the $25,000 Pot-Limit Omaha High Roller event drew 184 entries, the most ever at this buy-in level in this form of poker. · Largest 1st Place Prize for a $500 buy-in Event: The Colossus II winner (Event #2) Ben Keeline, won $1,000,000, the largest prize awarded in poker to a winner of an event at this buy-in level. · Most Places Paid in an Individual Event: The Colossus II (Event #2) paid a record 3,245 places, the most people ever to be paid out in any one poker tournament in history. · Most events with $1 million+ 1st Prize: 7 distinct events (Event #2, Event #14, Event #41, Event #55, Event #62, Event #67 and Event 68) paid the winner a million or more in prize money, setting a new WSOP record and one more than last year. Additionally, a record three events (Event #14, Event #67 and Event #68) made multiple millionaires from the same event (16 places paid out at least a million to be exact; Event 14: 2; Event 67: 5; and Event 68: 9). · Most 4,000+ Field Sizes in One WSOP: A record 7 events had field sizes of 4,000 entries or more, a new record. Event 2 (21,613 entries; 2nd largest field size ever); Event 14 (7,190 entries, 8th largest field size ever), Event #27 (4,499 entries; largest Seniors event ever), Event #41 (6,927 entries, 10th largest field size ever), Event #54 (6,761 entries, the 12th largest field size ever), Event #68 (6,737 entries, 5th largest Main Event ever and 13th largest field size in history) and Event #69 (4,360 entries). · Most 6,000+ Field Sizes in One WSOP: A record 5 events each surpassed 6,000 entries, the most in one WSOP. So of the Top 20 field sizes in poker history, five occurred this year. (See above bullet point for events). The World Series of Poker is the only poker tournament operator to ever host any poker tournaments with at least a $500 buy-in that have attracted more than 6,000 entrants. · Most cashes at WSOP without a win: Tony Cousineau of Daytona Beach, Fla., extended his record as the player with the most cashes – 74 – without a win. He cashed four times in 2016. · Most cashes in a single WSOP year: Roland Israelashvili cashed 13 times at this year’s summer series, including the very last two events that took place simultaneously, tying the record set by Ismael Bojang, who reached the milestone by cashing in nine events in Las Vegas and four in Melbourne, Australia at WSOP APAC in 2014. · All-time Cashes and Final Tables: 14-time WSOP bracelet winner Phil Hellmuth added to his record as the individual all-time leader in cashes (118) with his three cashes in 2016. With one final table appearance this year, Hellmuth has now final tabled an incredible 53 of the 118 events he has cashed in. Of the 53 final table appearances, Hellmuth has either won or come runner-up in 24 of them. Hellmuth also leads the category for most 4-9th place finishes, with 32. · $10 Million Club: 2009 Main Event champion Joe Cada became the 10th player in WSOP history to surpass $10 million in WSOP earnings, by virtue of cashing six times at the 2016 WSOP. · $5 Million Club: Fedor Holz, Brian Rast and Dan Smith joined the $5 million+ in lifetime WSOP earnings this year. Both Holz and Rast won bracelets, and Smith had a 2nd and a 3rd place finish. The World Series of Poker (WSOP) is the largest, richest and most prestigious gaming event in the world awarding millions of dollars in prize money and the prestigious gold bracelet, globally recognized as the sport’s top prize. Featuring a comprehensive slate of tournaments in every major poker variation, the WSOP is poker’s longest running tournament in the world, dating back to 1970. 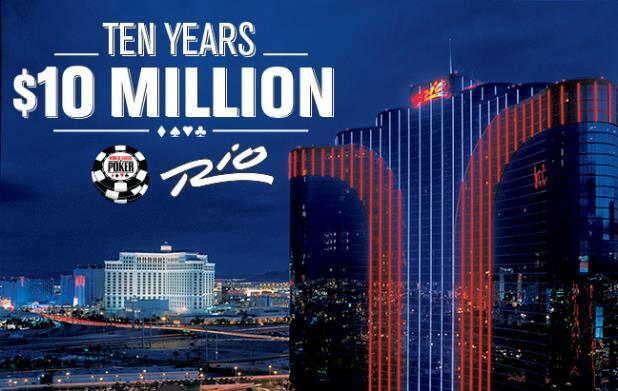 In 2016, the event attracted 107,833 entrants from 107 different countries to the Rio in Las Vegas and awarded over $221 million in prize money. In addition, the WSOP has formed groundbreaking alliances in broadcasting, digital media and corporate sponsorships, while successfully expanding the brand internationally with the advent in 2007 of the World Series of Poker Europe. For more information on the World Series of Poker, please visit www.WSOP.com.